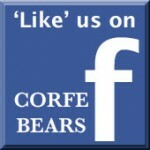 Corfe Bears > Aurora > FANCY PALS TURTLE IN HANDBAG 8"
View other bears from Handbags with Animals Inside. Girls will love feeling grown up and trendy, as they can carry their soft toy pets everywhere they go in these pretty handbags. If required, the animals can be easily removed, by cutting the ties that hold them and they are light to carry, so perfect for little hands. 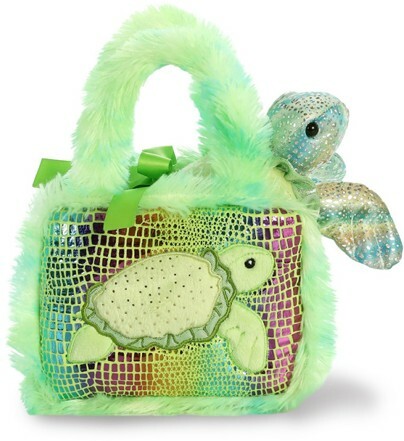 This little green turtle is carried in a pretty fluffy green handbag, with shimmering squares, making an ideal gift for little ladies.